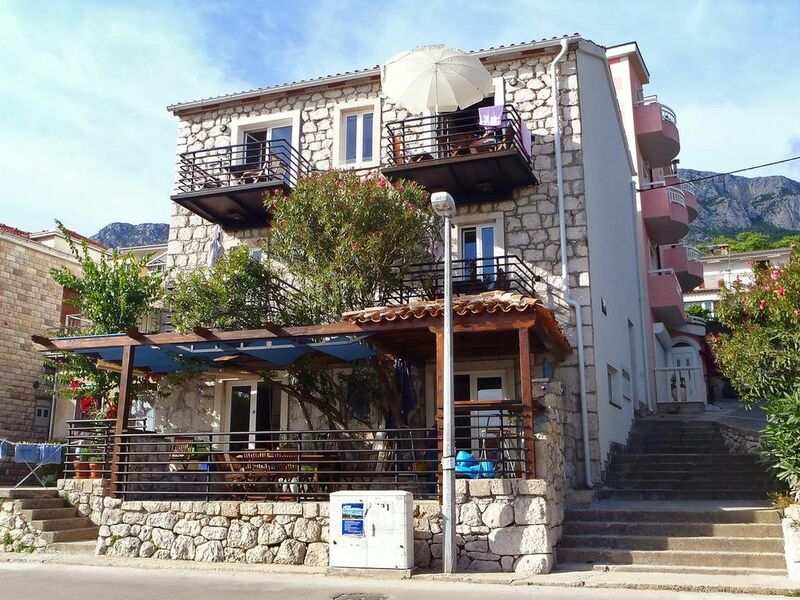 House 6661 in the town of Gradac, Makarska - Central Dalmatia has accommodation units of type Apartment (2), Studio flat (2) and is 120 m away from the sea. The nearest beach to this accommodation is a pebble beach. As the house is subdivided into multiple apartments, other guests may be present during your stay. The hosts reside in the house. The house owner is under no obligation to accept additional persons and pets that were not stated in the reservation request and it is necessary to report them in advance. Apartment can accommodate 6 guests. Beds are situated in 2 sleeping rooms, but also in the dining room, within 41m2. Guests can enjoy a sea view from the private balcony. This accommodation unit welcomes pets at an additional charge. Velice pěkné umístění, nicméně kvůli hlavní silnici je v apartmánu trochu větší hluk přes noc.